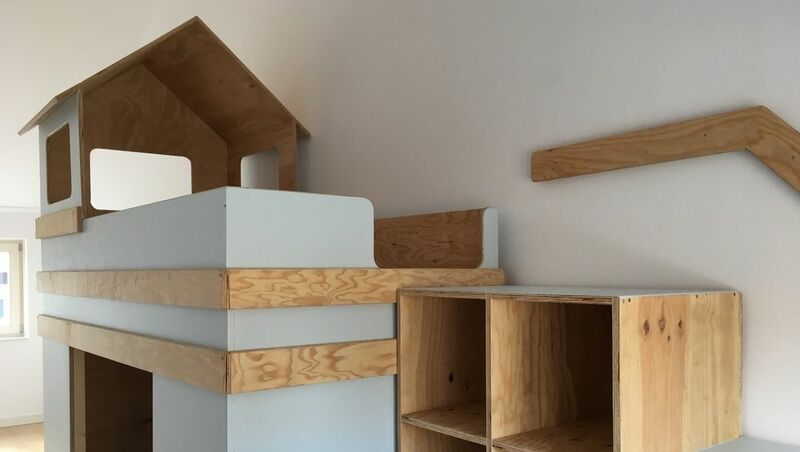 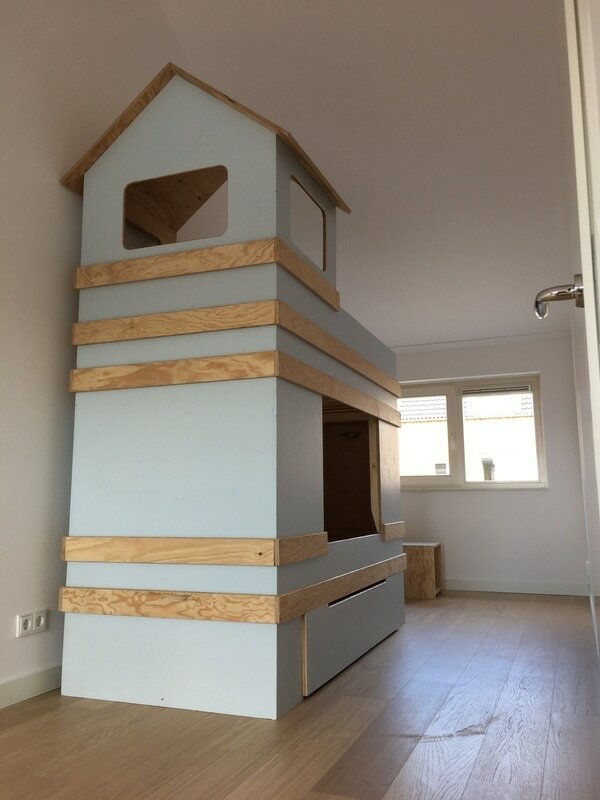 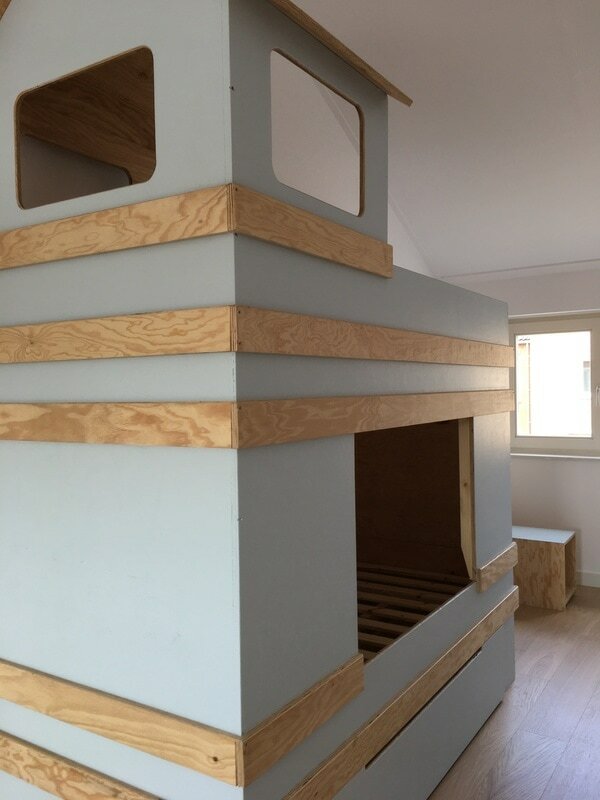 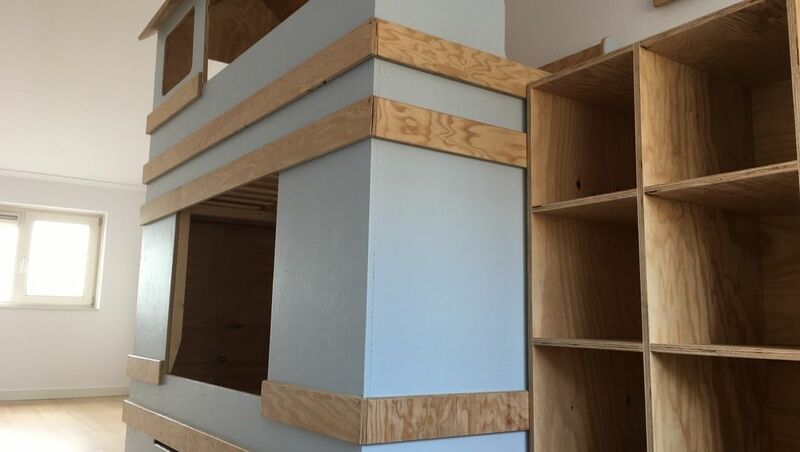 A loft bed which includes a chill space underneath made of underlayment (construction) wood. 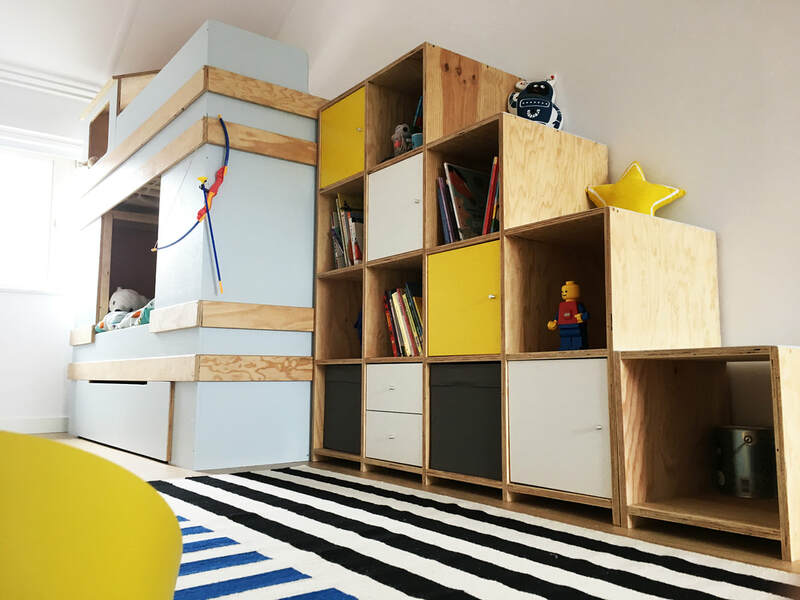 This space can also be used as an extra bed. 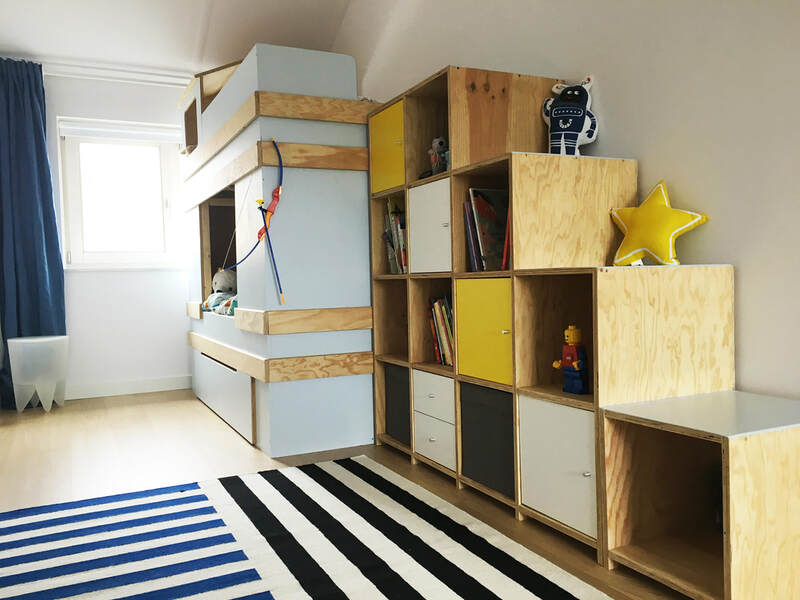 Under the bed a tray on wheels for extra storage. 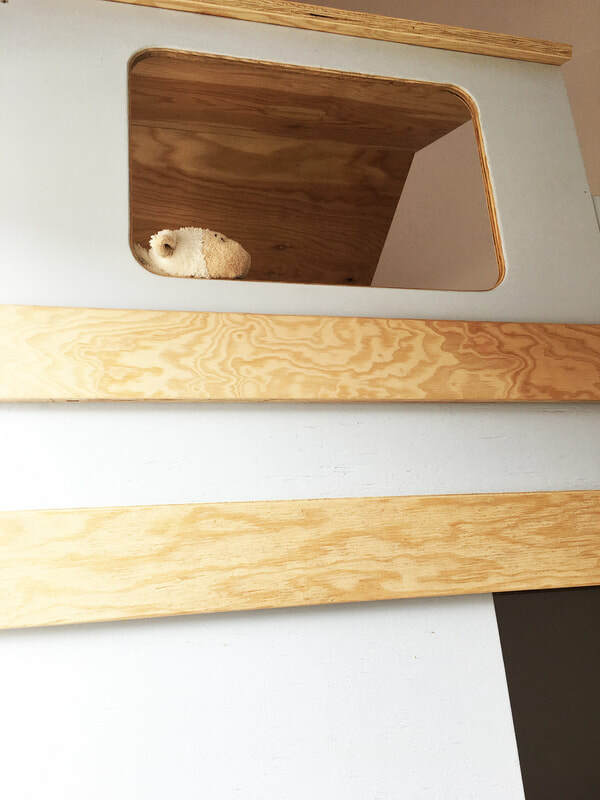 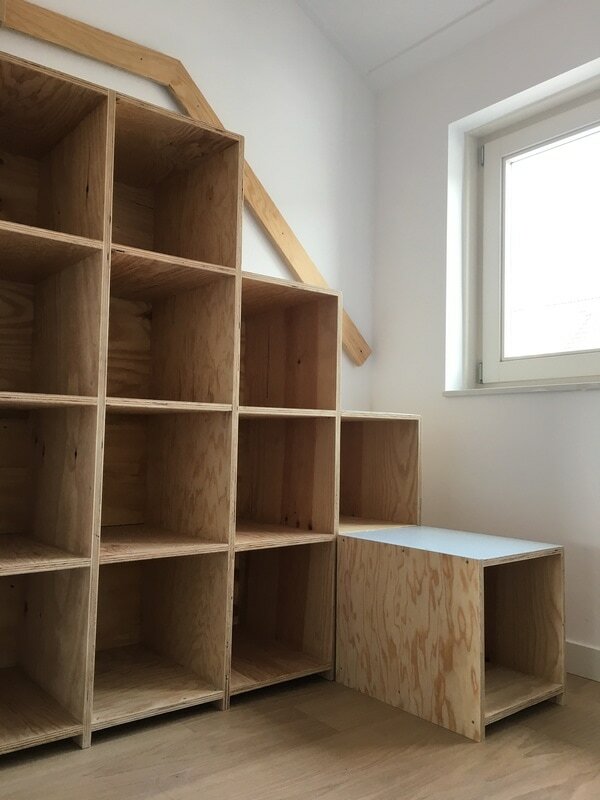 The staircase has spaces the size of a Kallax (IKEA) insert that could create a playful sight of boxes with doors. 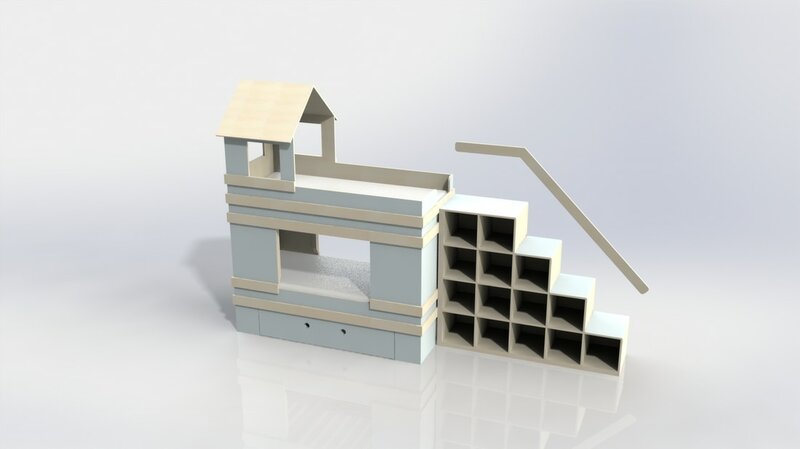 The design is modular and can be dismantled to create other opportunities.